Broadband and telephone spliting system. With our system the telephones are Pay as you go Landlines. The end user pays their phone bill on line with us so no risk to the Landlord. As a Landlord you can resell the building broadband to each tenant. 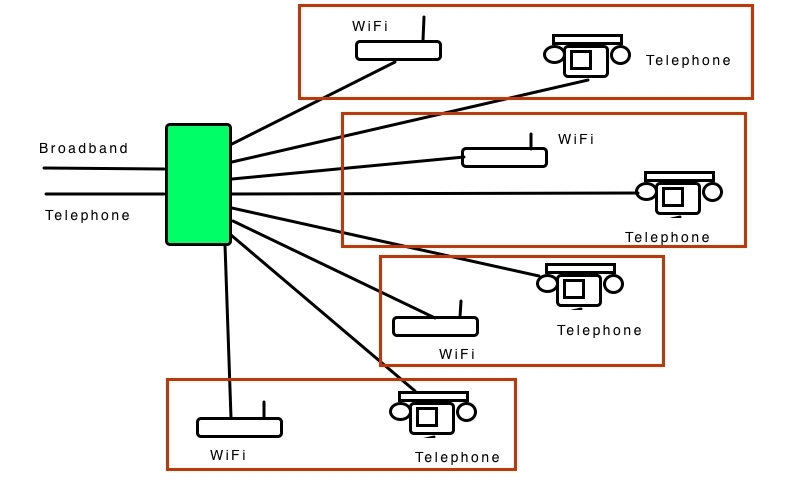 This example shows 1 Broadband and 'phone Landline being split to 4 separate flats with separate landline numbers and wifi in each flat. £ 60 per month proffit to landloard.